We have been welcoming walking groups to this stunning part of Wales for more than 25 years. Set on the edge of the Cambrian Mountains the 73 square miles of the Elan Estate is a little known area of stunning beauty and outstanding scenery, one of the few remaining unspoilt areas of Britain. Elan Valley Lodge with our 5* en-suite activity accommodation grading we can offer your club a great value break. The Lodge is a modernised Victorian building that has been skilfully adapted to offer excellent en-suite accommodation for 36 people. We provide fantastic food, and a relaxing, friendly atmosphere (with a great drying room) to make your stay thoroughly enjoyable. Our guides will offer you a range of options at the start of your break to make sure that your walks suit the needs and interests of your party. 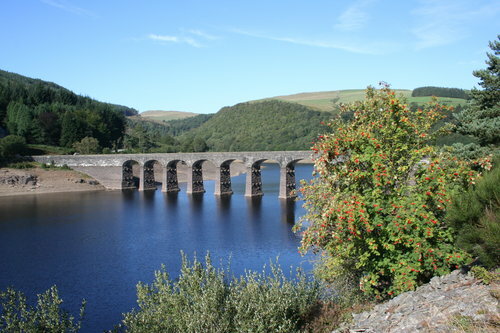 Many of our routes start or finish on the doorstep, and offer a varied terrain; with lakes, woodland, mountain and moors the Elan Valley has it all. 2 nights’ bed and full breakfast in 5* en-suite activity accommodation. Two days packed lunches with a wide selection of sandwich fillings. Three course evening meals Friday and Saturday. Unlimited tea and coffee throughout your stay with home made cake Friday and Saturday afternoon. Licensed honesty bar with selection of wines and beers. Local guide who will plan the walks to suit your party and the weather conditions. Guided walking Saturday and Sunday. We invite group bookings of 12 people or more (no single room supplements) for arrival after 5pm on Friday, vacating the Lodge after breakfast on Sunday. If you would like to make a booking we are happy to hold a provisional date for a few weeks to enable you to circulate your members. To confirm the booking we then ask for a £25 per person deposit, the balance is payable during your stay. 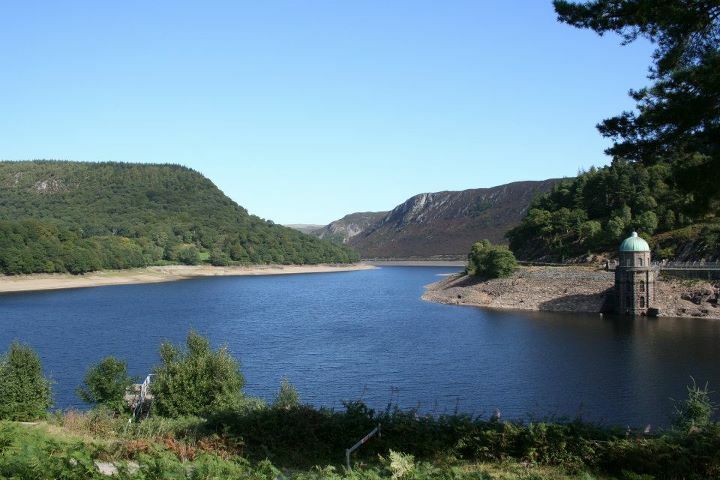 "Ryedale Walking Group have just returned from a terrific walking break at Elan Valley Lodge. Seventeen members stayed for 4 nights, enjoying walks led by Steve on three days. The walkers were of mixed ability, and Steve managed splendidly to organise the walks so we could all take part. Many thanks to Steve for his patience and the local knowledge he imparted. Also thanks to Holly the dog for providing entertainment on the walks! Being Wales, we didn't expect dry weather all the time, but we had a lovely sunny day on Saturday. The lodge is ideal for a group holiday, and the catering and service was first-class. The Elan Valley area is full of interest and the members who needed a rest day found things to do. The Elan Valley Visitor Centre is almost next door, and Rhayader is an easy 3 mile stroll on the old railway path." Eric Wesson, Ryedale Walking Group walks coordinator.